The spatial and electronic structures of defect and admixture sites of titania polymorphs have been analysed in the article as well as their manifestations in adsorption, catalysis, and photocatalytic processes. The role has been examined of the various forms of adsorbed oxygen in the redox reactions involving TiO2 surfaces. The results of experimental studies known from the literature are compared the properties of molecular and periodic models for the titania bulk and surface evaluated by means of quantum chemical methods. 12. Krylov O.V., Kiselev V.F. Adsorbtsiya i kataliz na perekhodnykh metallakh i ikh oksidakh. (Moscow: Khimiya, 1981). [in Russian]. 14. Krylov O.V., Shub B.R. Neravnovesnyye protsessy v katalize. (Moscow: Khimiya, 1990). [in Russian]. 15. Pyryaeva A.P. Ph.D. (Phys.-math.) Thesis. (Novosibirsk, 2014). [in Russian]. 16. Serikov T.M. Ph.D. (Phys.) Thesis. (Karaganda, 2017). [in Russian]. 35. Smirnova O.V., Grebenyuk A.G., Lobanov V.V. Quantum chemical calculatio ns on adsorption of O2 molecules on the anatase (001) surface. Surface. 2016. 8(23): 73. [in Ukrainian]. 36. Smirnova O.V., Grebenyuk A.G., Linnik O.P., Chorna N.O., Lobanov V.V. Effect of nitrogen doping on the spatial and electronic structure of TiO2 thin films and on the efficiency of water molecules adsorption onto their surfaces. 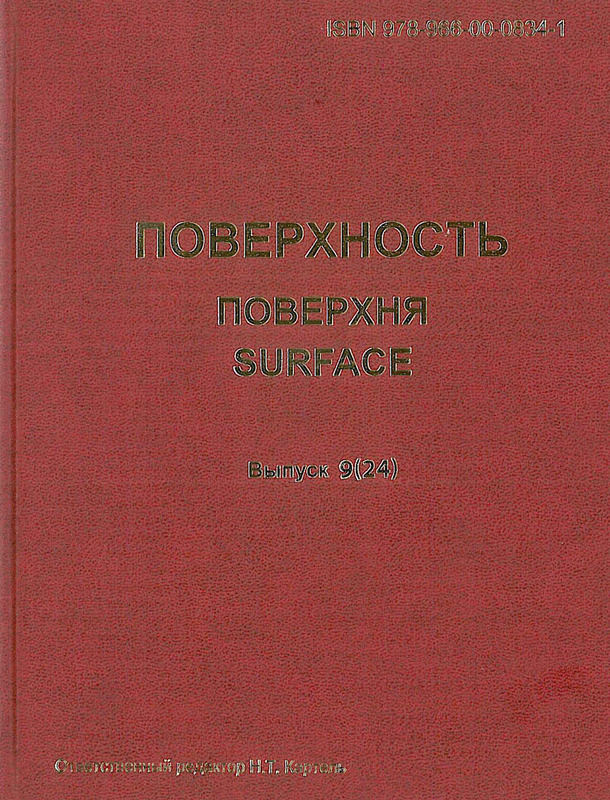 Scientific papers of NAUKMA. 2016. 183: 67.